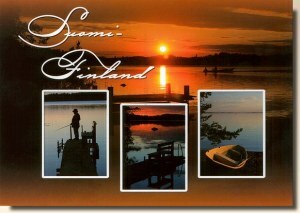 Kuhmo is a town and a municipality in Finland and is located in the province of Oulu and is part of the Kainuu region. The municipality has a population of 9,776 (30 June 2009) and covers an area of 5,456.89 square kilometres (2,106.92 sq mi) of which 649.99 km2 (250.96 sq mi) is water. The population density is 2.03 inhabitants per square kilometre (5.3 /sq mi). It has a borderline of 120 kilometres (75 mi) with Russia.